A camp is a recreational dwelling that has been placed or constructed on a designated camp lot and is not used as a principal residence. It may be a permanently-affixed structure or a mobile unit. Designated Camp Lot is a parcel of Crown land that is between 0.4 and 0.5 ha in size and has been designated by the Minister as a camp lot. These have been designated across the Province and availability can be obtained by contacting the Crown Lands-Land Use Application Service Centre at 1-888-312-5600. The construction and/or placement of any structure on a camp lot shall be in accordance with the Provincial Building Regulation and the version of the National Building Code specified in that Regulation. A camp lot lessee must follow the terms & conditions of their lease such as payments of rental and property taxes, adherence to building requirements, boundary line maintenance, site rehabilitation, etc. Rents for camp lots will now reflect the size and market value of the property rather than just a flat fee. The Standard Rent Formula can be found in the Lands Administration Regulation at the link above. For waterfront properties the rent would be twice that of the standard rent. ” and the rest of the information including the fees can be read in this Crown Land Camp Lease in NB website. concerns. These sites will be posted. Call 1-888-312-5600 for more information. The activities that are permitted in wilderness areas and wildlife management zones are different than those permitted on Crown land. For questions regarding wildlife management zones, please contact the regional offices of the Department of Natural Resources. Questions about wilderness areas should be directed to the Department of Environment. Thank you for this information. I have been considering moving back to the Maritime region (New Brunswick?) but have been concerned about a possible lack of freedom to camp on crown land – i.e. that not owned by the Irvings. This will help! Thank you for your quick respnse. It is very much appreciated – more than you will ever know – so keep up the great work with responding to people when questions are asked. If you come across any other info, please feel free to send me the info. Thanks again for all the work you do. I have lived in my fifthwheel for years, and would like to set up somewhere rural where I can maintain a year round camp. I no longer like being in a privately owned campground. Is crown land available for such things? If so, how do I apply for crown land for this purpose? So bottom line for free camping in your rv is to ensure you move from campsite to campsite every couple of weeks and you should be ok. Happy camping to you! Can US residents Camp free on crown land in Alberta? Yes, anyone can camp free in the forestry areas on the Eastern slopes of the Rockies. Any luck on the list of places in Alberta? Hello Lisa, thanks for visiting TracksAndTrails! I can now say yes! 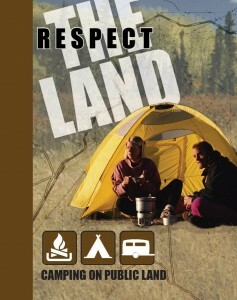 We do have Alberta free campsites listed. There are still a couple dozen we need to add but we will have them by the end of April. The way you can view all the campsites we have listed for Alberta is to go to any TracksAndTrails page, on the Search menu just below the top of the page or possibly just under the large map at the top it will have three fields to search with. The first allows input of any text,(leave that field blank for now) the second allows you to choose a location (For this example select “Alberta” from the drop down) The last allows you to choose a category (leave that field blank and all campgrounds available will show, you will soon note which ones are provincial parks and which ones are recreation sites) Look for the recreation areas as that is where the free campsites are. We will be adding private campgrounds soon. The recreation sites are not all free. Some will have a small fee of 10 – 20 dollars. Please try the above search features, scroll around, pan the map, view the info in different ways and leave a few comments. We are undergoing a huge upgrade that affects everything on the site and it will look and operate a lot more efficiently in a couple of months or sooner. Your input is extremely helpful. Thanks again. Beautiful, thank you for the immediate response. Look forward to checking it out.